Spray doors offer discerning clients a smooth finish and rich, enduring colour. Sprayed doors can be manufactured in a range of finishes and routered patterns to match clients’ ideas exactly. Clients can choose from a range of satin and gloss finishes off the international colour chart, allowing for a multitude of satisfying, exquisite finishes. 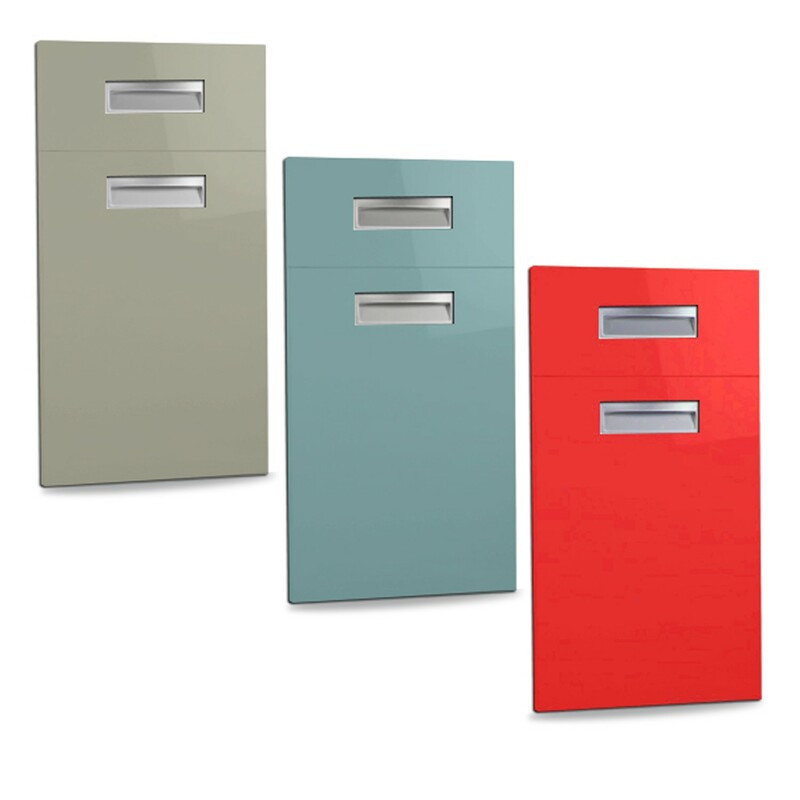 These durable, non-yellowing finishes allow for easy maintenance and ongoing aesthetic fulfilment. Spray doors offer infinite colour matching choices, high gloss white and colour finishes, core 16mm/18mm medium density fibreboard (MDF), white backing, and a ‘twin pack’ spray process, i.e. paint and spray with a hardener system. The spray door option is also UV resistant, ensuring durability and sharp detail. Rich and smooth! High gloss white and colour finishes. Core 16mm/18mm/22mm/30mm medium density fibreboard (MDF). ‘Twin pack’ spray process, i.e. paint and spray with hardener system.